This is the trekking company situated in Thamel, Kathmandu Nepal. Himkala has two different words. Him means “Snow” and Kala means “Art”.So, literally Himkala stands for ” The Snow Art”. Why is the name Himkala chosen? We would like to operate in different way than the recent trend. Himkala focuses on the creativity, originality and the artistic in its product, packages. So, we would like you to feel everything with your new perspective. As we have the name , we would like to act artistically. Himkala Adventure Pvt. Ltd. is a government registered trekking company.As the government has pinpointed trekking company’s boundaries, we have been doing mainly the trekking, climbing, mountaineering, rafting. hiking, bungee jumping, paragliding, canyoning, boating jungle safari, bird watching and many other adventurous activities.So, it is to be done all sorts of arrangement for the trekking,guiding, hotel management and so on. Where is Himkala Adventure Pvt. Ltd.? Himkala Adventure Pvt. Ltd. is in Thamel-29, Kathmandu Nepal. The company is only 5 km. far away from the Tribhuvan International Airport. Nepal is in the southern Asia. It is in between two giant countries China and India.It is a landlocked country but one of the richest country in its water resources especially the rivers flowing from mighty Himalayas. Nepal is basically known for the Mt. Everest, the highest mountain in the world. Then This is the country where the Buddha was born . The Gurkha soldiers are famous for their bravery all over the world. Besides this , Nepal is rich in arts and crafts. The country is small in size but it has many different facets especially the culture, language ways of living and so on. Yes, you easily can get the multi- entry visa from the entry places and the cost differs as per the length of your stay. You simply download the application form and fill it up. You are requested to have your two photographs.So for 15 days – 25 USD or equivalent Nepali currency, for 30 days – 40 USD and for 90 days – 100 USD or the equivalent Nepali currency. Nepal is a newly declared democratic country where there are many political parties,like to have their stand for the rights on different political issues. Except some rare cases in the time of civil war, Tourists are always thought their guests. Sometimes we have class struggle but this does not hamper the daily life.We do never have a religious strife.You could feel Nepal as your hometown. Nepal can be entered from two different ways. the first one is the airways. The are many international airways from different parts of the world. You could fly to Kathmandu and land at Tribhuvan International Airport. If you would like to come by road ways, then we have many entry points in between Nepal and India borders like Mahendranagar, Dhangadhi, Bhairahawa, Kakarvitta, Birgunj. Do you do airport pick-up ? Yes, we do. We do the airport pick – up. How long should I walk on a day in the trek? Generally, it depends on in which region and what graded trekking have you been doing. If this is below 3500 m then you should walk 6 to 7 hours each day that covers 12 to 14 km but if this is higher than this could walk less hours to acclimatize yourself. We always follow your pace….No worries!!! All the guides who work with Himkala Adventure are from the remote parts of the country , from the Himalayan belt. They had already spent their childhood, their school. Besides that they are well trained and experienced. All they speak good English. They are of good character, polite and dealing any of our clients as their own family members. What kind of weather(how cold is it?) can we expect during trekking? Weather in the Himalayan region is really unpredictable. Nobody can say what happens after a while… This means to say..it gets changes time and again. Generally after 12 o’clock, it is found very windy in the higher altitude. January and February are the coldest months here. The trails are blocked and it is very risky to do trek that time.The following temperature details could help you. What are the number requirement in the trip? We are tailor – made company. No matter if there is a single client, we do our job in the best way we can. If there is a group of any size, there will be no problem for us. We arrange domestic flight, hotel bookings and other necessary procedure but in case of international flights , we would like you to book from your own hometown. Is a woman travelling alone safe in Nepal? Of course, Yes. Woman from any age group is respected here in Nepal. Nepal is a peaceful country.Despite some political hurdles, Tourists of any kind is thought their guest, kith and kin.Nepal is a male dominated society but we have such cultural background that female deserves respect. Only the thing is that we request you to be cognizant on social – cultural, norms and values. How high is the trek for me? This depends on which area are you going as we have different trekking routes and packages.We could answer you that time when you let us know where are you going for the trek. What should I bring myself? Generally you could bring some personal stuffs like some trekking gears that you need. The other things you need , you could see in the related equipment list. What are the best time to be in Nepal for trekking, tour, expedition? 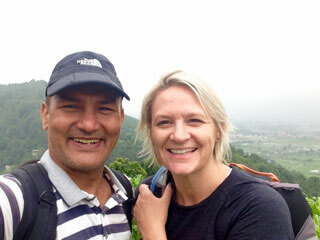 The best time to be in Nepal for trekking, tour, expedition are from September to December and from the March to May. The time favors by the climate. We can see the crystal clear mountains. People are found rejoicing in the great festivities. This is the time you ever find hypnotizing. Can I trek in the Himalayan Region if I do not have previous trekking experience? Yes, you can. We have proficient guide to take care of you. If you do not have any previous trekking experience, the only thing that you have care about that you should not be in rush. Our company is always on a campaign to make environment sound.We are against pollution, and while using natural resources like firewood. we have really been suffering by the effects of global warming. So, our company for the awareness program helping the local communities. We definitely do. If they are happy, we find our work done efficiently.Each staff of the company has the insurance. They are treated as the family members.